Dubai’s gold market is the envy of global investors. It’s not for nothing that the location is referred to around the world as the ‘City of Gold’. With attractive and lucrative trading conditions on offer, many investors keep a close eye on the gold price in Dubai and many will even consider travelling if it means getting their hands on the best investment gold. If you’re among those watching the gold price in Dubai, read on for some tips on getting a great deal on your next investment. Luckily, unlike with some currencies, it can be very easy to establish what the contemporary price of gold is in AED (United Arab Emirates dirham), relative to the US dollar. Global trading conditions and the strength of the markets play an important role in determining what the price will be, but while the price of gold in the UAE changes, it always stays the same relative to the dollar. This is because the dirham is pegged to the dollar ($1 will buy you exactly 3.6725 AED), so the contemporary gold price in Dubai is always the same as the American price, multiplied by this exchange rate. This is just one of the contributing factors to the attractive nature of Dubai’s gold market. Foreign investors that buy and sell gold here can easily calculate their trading in USD. But that’s just the start of it. 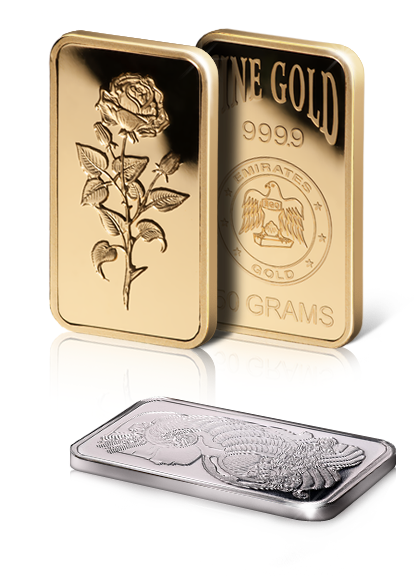 The gold price in Dubai is the first expense you’ll face when buying gold bullion. But don’t forget, as an investor it’s important to factor in any further expenses in relation to your assets. Key among these is of course the cost of storage. Fortunately, Dubai offers some of the lowest storage costs in the world for gold bullion and there are now a range of secure options available which Kuber Jewellery will be happy to advise you of should you wish us to store your gold bullion in Dubai. Finally, we can’t discuss the gold price in Dubai without mentioning the fantastic tax landscape on offer in the region. While Dubai has recently imposed a five per cent tax on gold jewellery and diamonds, gold bullion is not subject to this tax. The emirate remains a global trading centre for gold thanks in no small part to the tax haven it offers to gold bullion investors. Tempted? Find out more about buying and selling gold with us right here.